Number of pages: 31 pages. This license gives you resell and master resell rights. 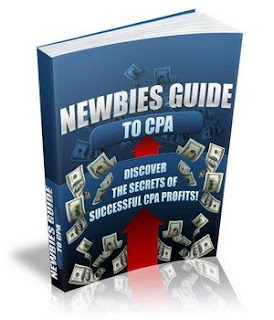 What Is CPA? The phrase "CPA" sounds about as exciting and attention-grabbing as accounting terms would sound to a quilting enthusiast. It's usually rattled off in this acronym form, and the assumption seems to be that you'll know what it is. Acronyms (short forms based on initials of words in titles) intimidate people, so many new internet marketers tend to ignore or gloss over this marketing method - but "CPA" simply means "Cost Per Action" or "Cost Per Acquisition". Cost Per Action means that your reader just has to take a specific action (E.G. input a valid email address, click on a link, request a free sample, etc.) Cost Per Acquisition means that your reader actually has to buy the product or subscription. Websites (or reports like this) dryly talking about CPA can hardly compete with "Make a six figure income with no work - 1 week from now!" in excitement factor. But whether you're choosing to focus on Cost Per Action or Cost Per Acquisition, CPA marketing has one common denominator: It is a form of advertising generated by a third party in which you are paid for hosting or promoting that party's ad or link, based strictly on actions your readers take. - Sales lead for your advertiser's further follow up How much can you earn? Well, typically... not millions. New subscriber signups usually generate between $1.00 to $1.50 per lead. You definitely won't get rich overnight. But if you combine simple Cost Per Action with some well-chosen Cost Per Acquisitions, your payout may be much higher. For example, if you're promoting a big-ticket item that costs $695, your commission that may be anywhere from $60-$300 on lead that results in a sale. A few of these combined with a bunch of easy "just click" links or banners can make a nice little second income for you. And once set up, it's a painless way to add extra income generation from your already-existing sites. Put CPA to work for you while you go off to the church picnic or enjoy a well-deserved nap (after staying up all the night before, trying to solve your shopping cart problem.) And as your list grows, so too will your profits.